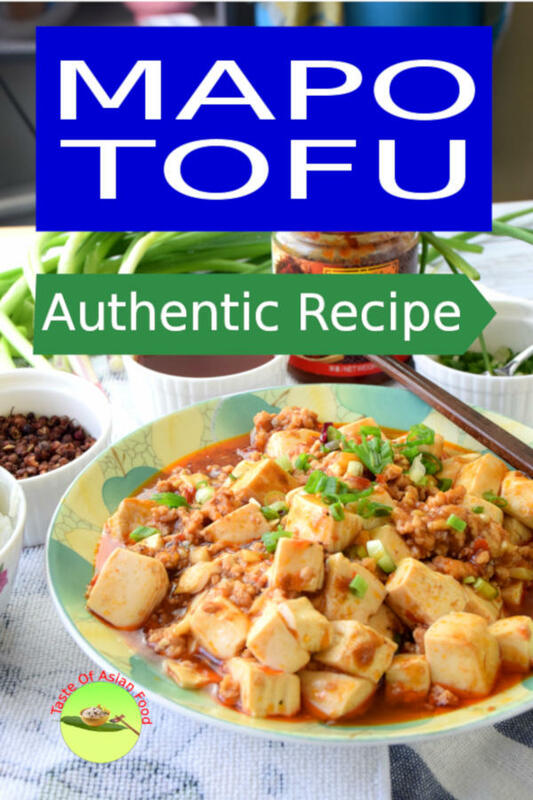 This easy Mapo Tofu recipe 麻婆豆腐 has the bursting and mouth-numbing flavor that you must try. Mapo tofu is such a favorite dish due to its simplicity in preparation but offers the flavor of the complex interplay of spices and flavor. I love this recipe as I can enjoy the kick-in-the-tongue sensation and the specific flavor back in Szechuan, China. Preparation is simple, and offer a wide margin of tolerance and variation. Let’s take a look at how to make it. The original mapo tofu recipe contains minced beef. However, there are minced pork and a vegetarian version as well. I am using minced chicken breast meat in this recipe. Mince the meat manually is better than using the food processor. The blade of the food processor blend the meat into a paste instead of mincing it into minute pieces. The mouthfeel is different when you bite into it. Add the Shaoxing wine, light soy sauce and minced ginger to marinate for fifteen minutes. Substitute the minced meat with diced Chinese mushroom and immediately transform it into a purely vegetarian dish. 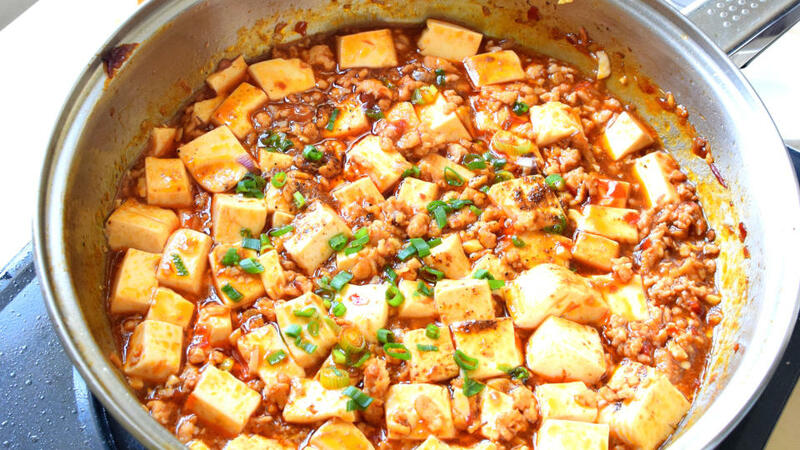 Which type of tofu is most suitable for making mapo tofu? You should look for the reasonably soft and silky tofu, but not the softest one that will break if you cut the tofu into pieces. These sort of tofu is commonly sold as individual pieces placed in plastic boxes and sealed with a transparent plastic film. Some of them are labeled as pressed tofu in English or carry the Chinese character 砖块豆腐. If you are in doubt, ask the vendor for his recommendation. 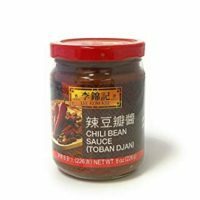 Doubanjiang 豆瓣酱 is also known as fermented broad bean paste, Toban Djan, and chili bean paste. Due to the inconsistency of the translation, you can show the shopkeeper the three characters 豆瓣酱 to ensure that you purchase the right item. Doubanjiang is the main seasonings for Szechuan cuisine, much like the popularity of soy sauce in Cantonese cuisine. Doubanjiang has an intense broad bean 蚕豆 taste and is spicy. It is also quite salty (you can taste it before using it to cook). You may want to use more doubanjiang by omitting salt should you like a richer flavor. Put two tablespoons of chili flakes, one teaspoon of five-spice powder, 1/2 teaspoon of Szechuan peppercorn, one bay leaf and small star anise in a heatproofs bowl. Heat 125ml of vegetable oil in a pan. Throw a piece of ginger into it. The temperature should reach when the ginger starts to turn golden brown and wither. Transfer the oil into the bowl of spices. Stir gently so that the spices are mixed with the hot oil thoroughly. Remove the star anise and bay leaf. Done. Szechuan peppercorn gives a numbness feeling on the tongue. It is quite a dining experience if you haven’t tried it. Szechuan peppercorn is different from other types of peppercorns, so there is no substitution for it. 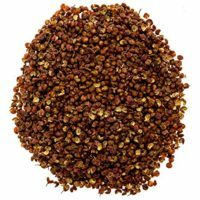 You can buy the ground Szechuan peppercorn or choose to roast the whole Szechuan peppercorns and powderize it yourself. Heat the peppercorns in a pan over low heat. The peppercorns will become dry and turn fragrant after a minute. Grind it to become powder by using a rolling pin or with the mortar and pestle. Doubanjiang, Szechuan peppercorn, and chili oil are all uniquely Szechuanese, which chefs deploy all of them to create the ultimate tofu recipe. The tofu cannot withstand stirring and flipping as it can break easily. Therefore, do not stir-fry the tofu with the sauce. Instead of stir-frying, combine the tofu with the sauce by moving the pan in a circular motion. 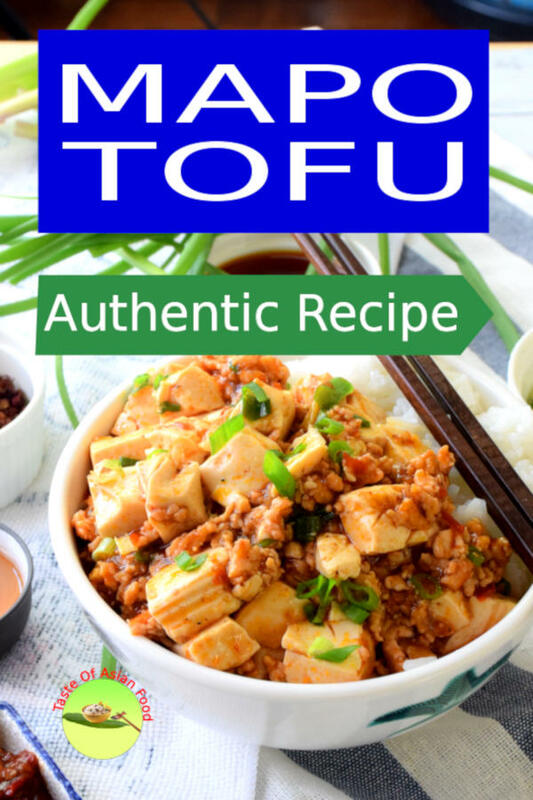 You can use a spatula and flip the tofu once if the tofu does not mix with the sauce thoroughly. Cook the tofu with the meat sauce over low heat for about five minutes. The tofu will absorb the sauce into the porous structure which results in very delicious tofu. 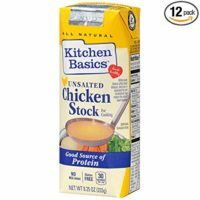 You can add some water to the sauce if it is too dry to cook further. Thicken the sauce with cornflour slurry. Combine one tablespoon of cornflour with two tablespoons of cold water to make a slurry. Add the cornflour slurry to the tofu and sauce. The purpose of adding cornflour slurry is to thicken the sauce until it can cling on to the surface of the tofu. Add more cornflour slurry if the sauce is too watery. One the sauce is thick enough to adhere onto the tofu, stop adding more cornflour slurry as too much will turn it into an undesirable gooey paste. OK. So much about the ingredients and the technique. 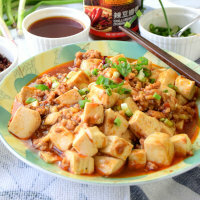 This easy Mapo Tofu recipe 麻婆豆腐 has the bursting and mouth-numbing flavor that you must try.Mapo tofu is such a favorite dish due to its simplicity in preparation but offers the flavor of the complex interplay of spices and flavor. Mince the meat finely. 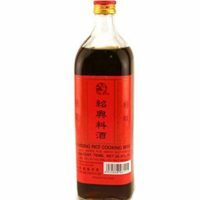 Marinate with light soy sauce land Shaoxing wine. Cut the tofu into 2cm squares. Add the vegetable oil to the pan. Add the minced ginger, chopped garlic, and the marinated meat. Stir-fry until aromatic. Add all the ingredients in C.
Add the chicken stock, chili bean paste, chili oil, five-spice powder, sugar. Combine all the ingredients. Add the tofu carefully, not to break them. Cook the tofu over low heat for five minutes. Let the tofu absorb the flavor of the seasoning ingredients. Be gentle as the tofu can break easily. Add 1 tablespoon of cornflour slurry to the tofu over medium heat. Combine the slurry with the sauce so that the gravy is thick enough to adhere to the tofu. Add the scallion on top. Served. 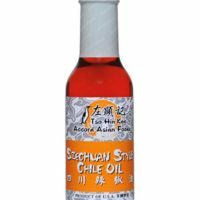 Szechuan Style Chili Oil 5 oz. The spicy hot feeling(辣) by the dry chili powder or chili oil. Served piping hot (烫) and prepared with fresh ingredients (鲜). Mince the meat into fine pieces and saute until fragrant (酥). Chen Mapo Tofu was created in 1862 at Restaurant Chen Heng Seng 陈兴盛饭铺 in the northern suburb of Chengdu. 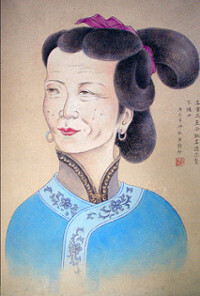 The owner, Mrs. Chen of the restaurant, has pockmarks on her face. Since pockmark is pronounced as Ma and Po mean old lady is Chinese, the customers named the tofu dish after her nickname as Mapo tofu. In the era of the late Qing dynasty, most of her customers were laborers of low income and preferred to bring their tofu and ask Mrs. Chen to cook for them. Mrs. Chen’s tofu was spectacular because it was prepared with fresh ingredients and served piping hot. The tofu was mixed with red hot chili oil, combined with the numbing flavor of Szechuan peppercorn, and spicy hot from the chili pepper. The beef is flaky and melts the mouth. The tofu is soft is silky and garnished with the lively color of the scallion. Her tofu quickly becomes a phenomenon, and mapo tofu had become the signature dish of Chengdu by the end of the Ching Dynasty. Ever Since then, it has become one of the most famous Szechuan dishes in the world. 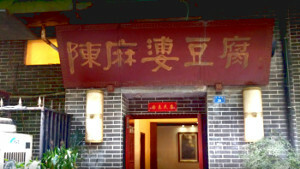 Her original restaurant is now called Chenmapo Doufu Old Store 陈麻婆豆腐老店 and still operating in Chengdu. 7 replies to "How to cook the authentic Mapo Tofu"
Fantastic, and thank you for providing the characters to the proper ingredients. I learned this dish years ago, Japanese style, but I prefer this recipe. This tasts like the Mapo I get from a local authentic Szechuan restaurant. Excellent. I like how you describe textures, subtle differences, and the variances in terminology in your recipes, it’s very helpful. Thanks again. It’s great to know that someone out there like the Mapo Tofu recipe. Yes, I try to stick to the original one from China. Going to try this soon..
You are welcome. Hope you will like Mapo Tofu.